Located in central Auckland, Mt Eden Correctional Facility recently constructed a new building, the Police Custody Unit, designed to accommodate detainees. 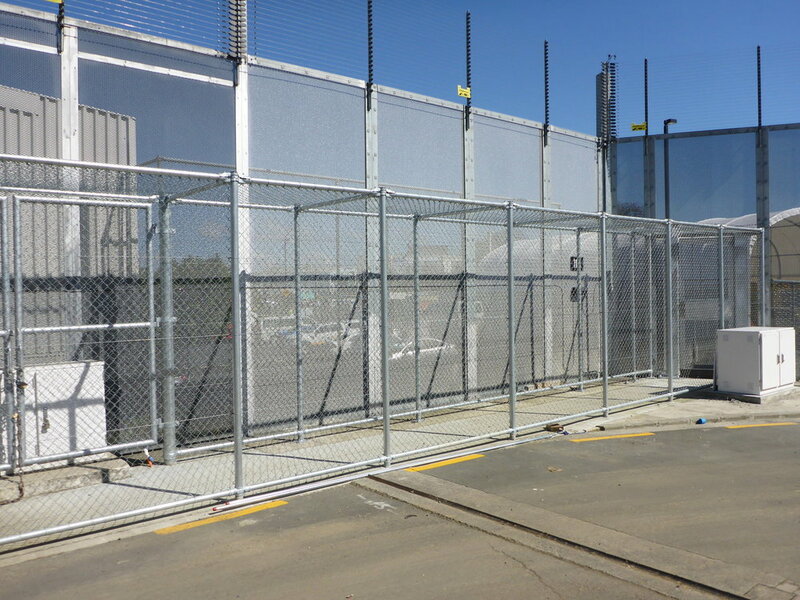 As New Zealand’s most experienced high security fence and gate company, Hampden Fence was engaged to fulfil the exacting security requirements stipulated by the Corrections Department. Updates were undertaken while the main prison building remained operational. Who do Arrow International call when it has a challenging project that demands a custom solution? – Hampden Fence As Rhys McKenzie, Project Manager for Arrow International says, “We’ve had a long association with Hampden Fence over the years and they always exceed expectations. Security fencing and gates systems in a high-risk environment need to be fit for purpose, there can be no mistakes. Hampden Fence always delivers.” With over 12 prison projects successfully completed around New Zealand, Hampden Fence can offer the expertise needed to deliver on the most complex high security projects. Hampden took a close look at the unique requirements for the Auckland Custodial Unit during the design phase and recommended the best methods, components and products based on our experience. Hampden offered accurate solutions and ‘fit for purpose’ products that would achieve the appropriate result required for the Department of Corrections. The requirements varied throughout the site, and Hampden was able to recommend the most suitable product for each area. Hampden custom fabricated a wide range of gates for the site including, large complex gates that needed to perform under high wind loads. Each set of gates were fabricated using the most suitable product for their application and functionality needs. 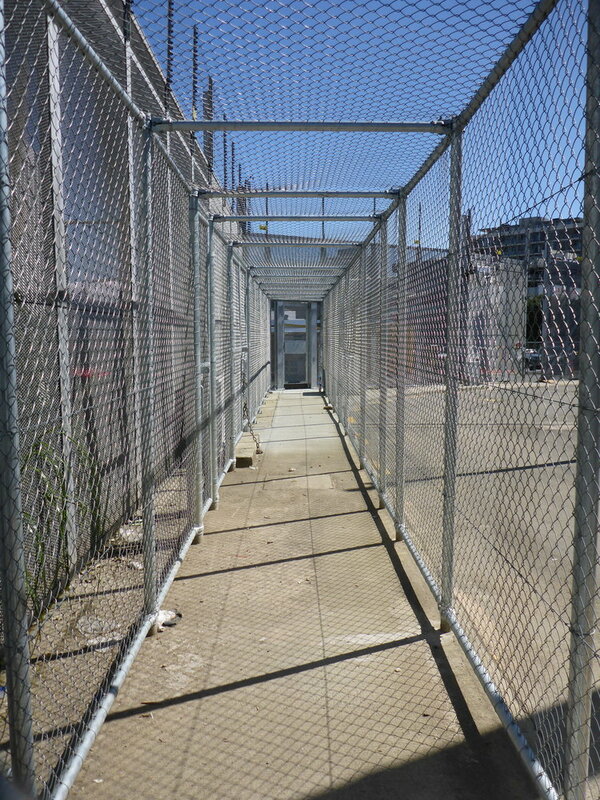 This included ArmourFence Palisade, 358 Expanded Metal Mesh and Pipe & Mesh. With proven experience and reputation of high security projects, Hampden has the necessary skills to undertake complex projects and ensure a quality finish. Our fabrication team is experienced, qualified and able to meet the demands of complex requirements. With our supply chain and construction industry relationships Hampden offer some of the best products in the market for high security solutions. Expamet is a preferred choice for many prison environments, so not surprisingly it was used on this site for its anti-climb and durable qualities. Accommodating access for large vehicles meant the gates had to be considerable in size and subsequently heavy duty to allow for regular use. Armour Fence Palisade is a robust system and superior high security product that is versatile, cost-effective and has great high security qualities. The 3 prongs at the top of each Palisade deters intruders and controls access in and out of the property. This product was used on this project as practical vehicle and personnel control. The challenge of specifying fit for purpose actuators to automate the main entry into the custodial unit (within the prison perimeter) was met by purpose built heavy-duty actuators that have a 100% duty cycle and can accommodate the significant wind loading caused by the size and limiting open area of 35%. This product was used to create a bail chute for the transfer of criminals, although with lower security properties it serves its purpose as a containment walkway.